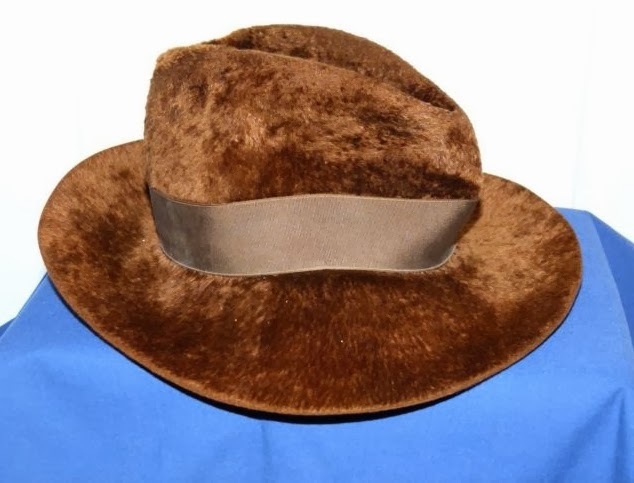 I must say first of all this is NOT a screen-worn hat, but it is an original period Herbert Johnson, by the makers of Tom’s fedoras. These are quite rare to see, so I thought it worth highlighting just as good reference material as there are some nice pictures accompanying the listing. 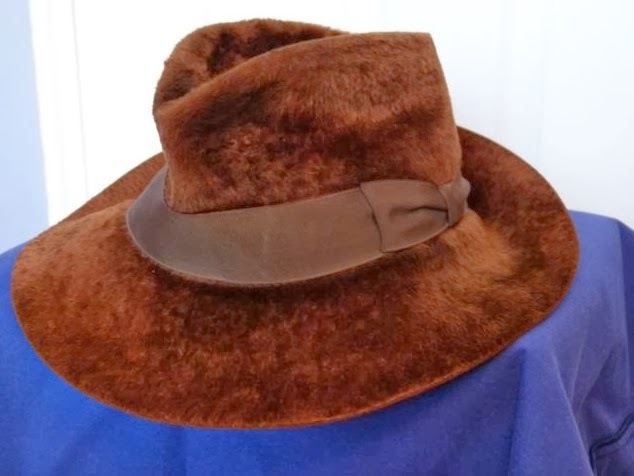 I would have bid on it myself, but only being a 6 7/8 it’s too small for me! Here we have an identical style of fur felt, broad brimmed floppy hat as worn by Tom Baker when he was Doctor Who. It is made by the same make of bespoke hatters, Herbert Johnson and was made in the 1970’s. These hats are very rare. This hat has seen better days. I think it may have got wet in the rain at some point and has become a bit distorted and shrunk a little. 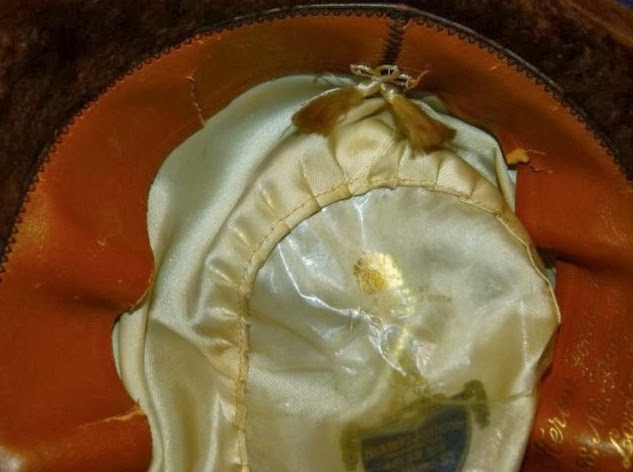 I say this because it is labelled as *6 and 7/8 but I think it is smaller (I have other hats that are bigger and labelled this size, also the crown of the hat seems squatter than it should). The internal band that lines the inside is split in afew places (see pics). Low starting price because of these issues, so grab yourself a bargain! Even so, it would look great on a hat stand with a Doctor Who scarf. 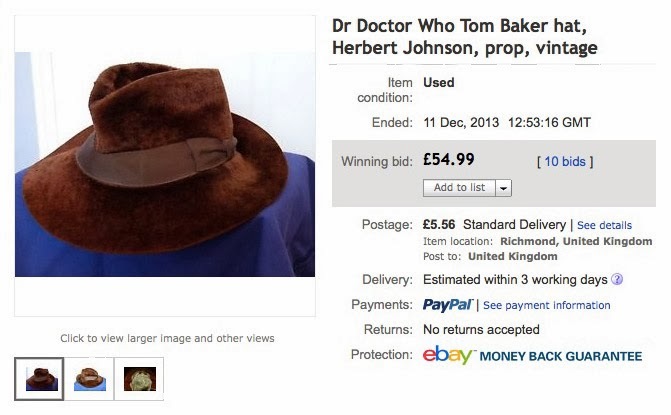 This is certainly more authentic than the official BBC, Fourth Doctor hats that are for sale at the moment!